(MoneyWatch) When most people buy organic eggs, they imagine that the chickens responsible for those eggs probably cluck around outdoors on a picturesque family farm. But according to a new report by a farm policy research group, that's not the case for as much of 80% of the eggs marketed as organic. The 36,000 hens on this farm produce organic eggs for the California-based egg company Chino Valley Ranchers. Other producers Cornucopia criticizes as factory farms include The Country Hen, Eggland's Best, Horizon Organic (DF) and Land O'Lakes. 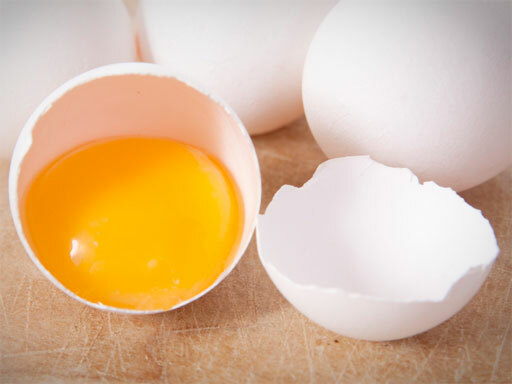 Mark Kastel, Cornucopia's co-director, says that most supermarkets' private label organic eggs -- like Whole Foods' 365 Organic, Wal-Mart's Great Value, Safeway's O Organic and Trader Joe's brand -- also come from these confined, industrial operations. The report is careful to point out there are many organic farmers who sell eggs that actually live up to their name and justify the extra $2 or $3 per dozen that shoppers pay. The hens go outside where they peck and dust bathe, and in many cases, they eat their natural diet of grass, bugs and worms. Cornucopia compiled a list of authentically organic eggs, though it's not exhaustive. The problem is that these mostly smaller farmers represent only a small percentage of the organic eggs on the market. Most come from big operations that also sell non-organic eggs. Cornucopia, which is located in Wisconsin, helped ignite a similar controversy in 2007 over the way large dairy farms were taking advantage of the amorphous rule that diary cows have "access to pasture." The USDA has since sanctioned one large farm -- Aurora Organic -- which supplies private label organic milk to large supermarkets and retailers, and has come up with stricter rules about how cows need to physically be on acres of pasture and eating grass for at least four months a year. Some large egg producers defend their practices by saying that their chickens simply don't go outside even when the doors are opened. But Kastel says he visited one farm in Iowa where he watched 5,000 chickens eagerly pour out of a barn. "The key is to introduce the outdoors to them within the first 16 or 17 weeks," he says. Next week, the National Organic Standards Board, which advises the USDA on organic standards, will meet to have what will undoubtedly be an incredibly arcane but necessary discussion about what "access to the outdoors" really means. If they adopt strict new rules like they did with dairy cows, it will mean that some farms are going to have to make much bigger doors and create the sort of outdoor space chickens will want to cluck around in. And then organic eggs might be actually organic.